If you run a forum site, you’re probably looking for ways to expand and grow the membership. Despite all of the changes that have taken place throughout the years, the social aspect is still at the forefront. The main reason people come in to your site is to interact. Your goal as the host is to facilitate this interaction. One of the best ways to go about it is by installing a chat room where community members can engage in real time. Live chat can be used for a variety of purposes, some of which I’m about to discuss below. Online forums have been designed for a non-instant, slower-paced communication. Of course, users can go back and forth with their comments but that’s not what usually happens, nor it is the most convenient way of talking online. Exchanging longer, well-structured comments is the more typical mode of interaction. Still, sometimes there may be a need for users to discuss an issue quickly and not clutter the thread. This is precisely when they can turn to live chat, especially since it allows for group conversations as well. Over time, members of an online forum build a community. Its tightness will depend on multiple factors including the frequency, quality, and form of interactions they have. The more of them, the closer to each other people grow. Relations are like a muscle – they require constant flexing to grow and become stronger. 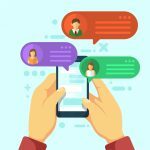 Live chat provides yet another avenue for cultivating these online connections. It’s a way for members to increase the frequency of interactions and make them less formal. One of the things that will differ from one online forum to another is the amount of involvement you’ll see on the admins’ part. On some boards, they’re a staple, policing and helping users. On others, they may only occasionally pop in to see if the site is still up. If your admins are more of the caring kind, then live chat can be a great support channel for any day to day issues people may have, especially, if you offer premium membership. 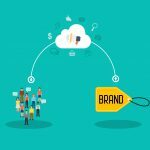 Providing instant assistance will help trim down the churn rate and build loyalty. A chat room creates new ways for folks to interact online. The regular, day to day user banter is cool and all, but why not step it up a notch and introduce some variety? You can arrange an AMA session with the forum founder or a person known in the niche, hold a raffle, or livestream an event. This will create new ways for your forum members to engage and have fun. The event can be moderated with only the messages approved by the admins appearing in the room. Importantly, if you don’t want to make the chat an essential part of your forum, you can easily turn it on temporarily only for this purpose. The ability to differentiate yourself can’t be overstated. 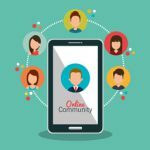 If you’re running an online forum in a competitive niche and there are more sites like yours, providing a platform for real-time communication between members is a great way to gain advantage. A live chat widget enhances your site with a dynamic element that draws in current and prospect members. It may act as a dealmaker if an individual is considering joining an online forum in a particular niche. Adding it takes very little of your time and can generate a great return. 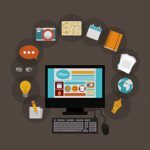 I hope this post has opened your eyes to the advantages of adding live chat to your online forum. Chatwee offers a slew of dedicated plugins for different forum engines. Please visit our Integrations page to get yours for free and start growing today.